Lightbox disable in "Article Joomla"
I have created one article in a Joomla site and i have edit it with Themler for have one Logo sponsor page. I would disable only in this page the Lightbox effect. Whot is the procedure? I'm terribly sorry for the delay in response. Unfortunately, it's only possible to disable lightbox feature for all of the posts in your theme at the same time. Is this still not possible with Joomla and Themler?? I did disable lightbox but it still gives met a lightbox when clicking on an image. Is this still not possible with Joomla and Themler?? I did disable lightbox but it still gives met a lightbox when clicking on an image. This is possible, please make sure to disable lightbox for Posts on all templates such as Post, Blog, Home, Page. Ok, but where do I find to disable lightbox on Blog, Home and Page? I have searched but I cannot find the setting. 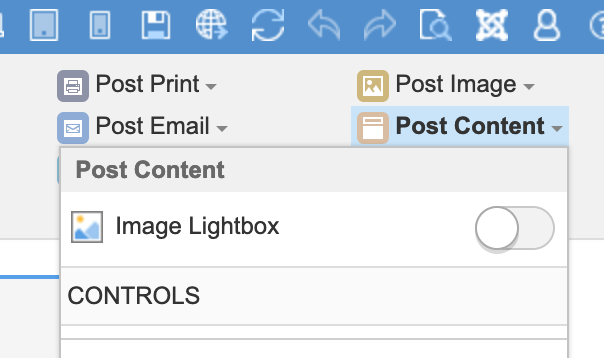 If CMS Content is enabled, please go to Posts tab (you may use Outline on the left panel to find it) and then Post Content >> Image Lightbox >> disable.